The online version of this article ( https://doi.org/10.1186/s40659-019-0227-6) contains supplementary material, which is available to authorized users. HDACs were sorted into different families and were generally conserved in fungi and eukaryotes, including yeast, animals and higher plants. Plant HDACs were categorized into three families, RDP3/HDA1 and SIR2 families, which were homologous to HDACs found in yeast and animals, and HD2 family, which was unique to plants . Many plants HDACs have been cloned and identified as transcriptional activators or repressors in various biological processes [9, 10, 11, 12, 13, 14, 15, 16, 17, 18, 19, 20]. 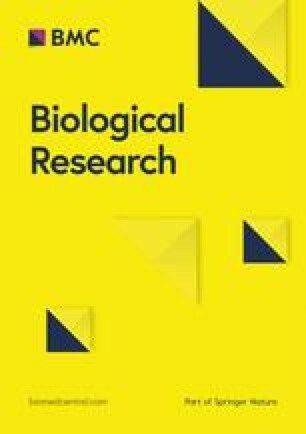 In Arabidopsis, AtHDACs play important roles in seed development, germination, seed dormancy, circadian regulation, hypocotyls growth, female gametophyte development, embryogenesis, root hair development, leaf morphogenesis, flower development, responses to day length, environmental stresses and defensive response against pathogen attack [21, 22, 23, 24, 25, 26, 27, 28, 29]. 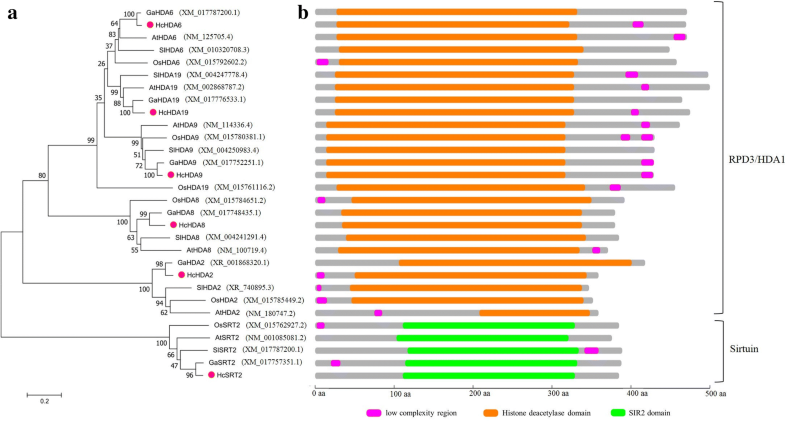 Although HDACs are thought to play imperative roles in plant growth, developmental processes, and responses to stressful conditions, little is known about the biological functions of HDAC genes in kenaf. Kenaf can be used in the phytoremediation of salt contaminated soil and as a drought tolerant crop. Though researches on kenaf salt and drought tolerance have made some progresses [46, 47, 48, 49, 50, 51, 52], the mechanisms of salt and drought tolerance are still unclear. Histone acetylation is an important epigenetic modification, which regulates gene activity in response to stress. Till now, there is no reports addressing histone acetylation modification in kenaf. Therefore, it is necessary to explore the mechanism of salinity and drought tolerance from the aspect of histone acetylation modification. Researches showed histone acetylation was involved in plant responses to salt and drought stresses . 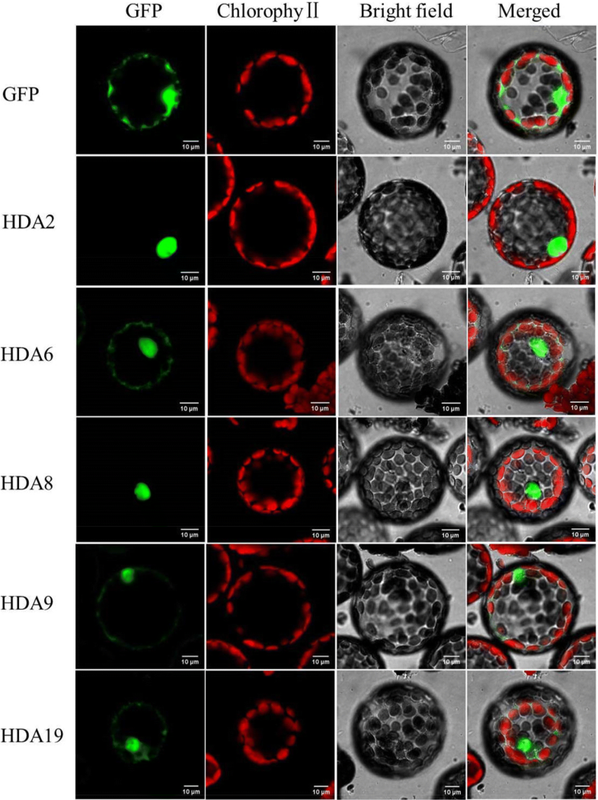 In Arabidopsis, the expression levels of histone deacetylases HD2A, HD2B, HD2C and HD2D were suppressed by high salt treatment . The overexpression of HD2C and HD2D showed enhanced tolerance to drought and salt [55, 56]. 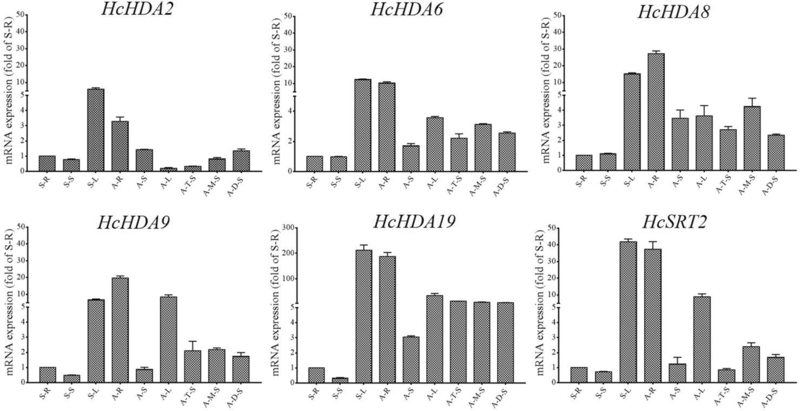 HDA6 was associated with HDT3/HD2C regulated gene expression in response to salt stress and also involved in drought stress tolerance by regulating gene expression in acetate biosynthesis pathway [57, 58]. SlHDACs were induced in various degrees under high salinity and dehydration in tomato (Solanum lycopersicum) . Additional file 1: Table S1. Description of primers used in the study.